Tree barks provide one of nature’s most beautiful materials for basket making. This course will begin with a hands-on discussion covering the harvesting and preparation of local tree barks. With a selection of willow barks and red cedar bark participants will explore techniques such as plaiting, twill and twining. 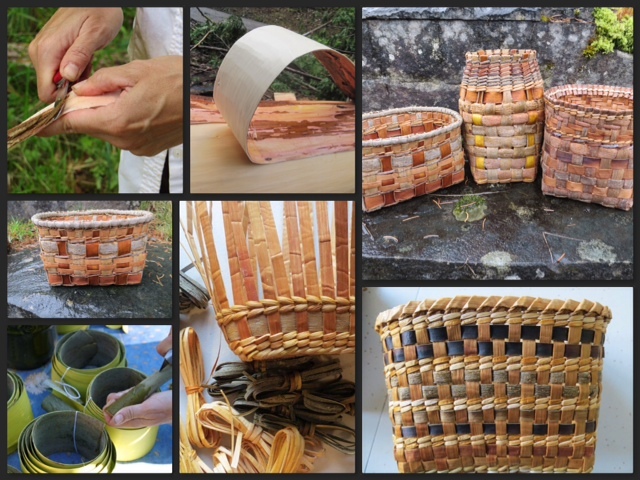 Principles of designing a basket and variations in weaving patterns will be covered. Sample baskets will be on hand for inspiration.